All OHS group classes are suitable for friendly dogs that are comfortable working around other dogs in a group environment. Dog Obedience Beginner Level 1 is for participants who are looking for basic training with canine manners. We believe that training your dog should be fun for you, for your family, and for your dog. Our classes are not intended to train your dog to compete in any level of obedience competition, but rather to teach the basics of good canine citizenship. All obedience classes are taught with positive reinforcement training. Dogs must be at least four months old by the start of the session. 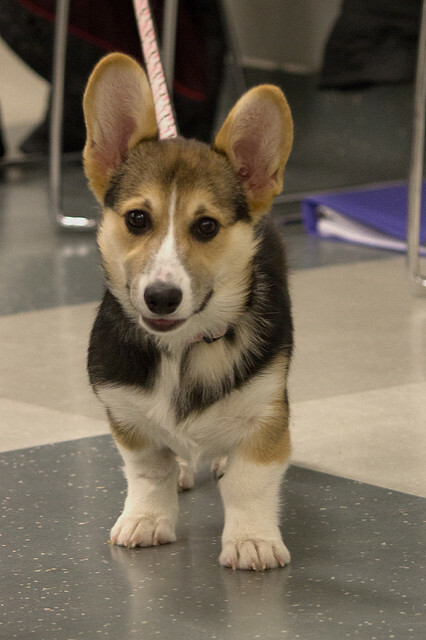 For dogs under four months it is highly recommended that you register for puppy socialization classes. The OHS does not offer these at this time. This class is targeted towards dogs that have little to no formal obedience training. Our instructor will cover body handling, resource guarding prevention, as well as the basics of sitting, lying down, polite greetings, coming when called, stays with distractions, loose leash walking and leaving objects alone. Your dog will also learn a few tricks! Note: The first class of each beginner obedience session is for human participants only. This is an instructional class – please leave your furry friends at home. Space is limited, so register today! For more information about any of the classes available, please email programs@ottawahumane.ca or call 613-725-3166, ext. 298.